With nearly 40 years of IP trial experience, Doug focuses his practice at Carlson Caspers on patent litigation involving medical device, biotechnology, chemical, software, semiconductor and business method patents. Doug has served as lead attorney in numerous jury and bench trials in courtrooms in nearly half of the U.S. states. He has represented defendants and plaintiffs in hundreds of Markman hearings, dispositive motions, procedural motions and discovery motions of all types, as well as in hundreds of IP cases involving thousands of witnesses at deposition and trial. Doug has also had extensive experience with contested proceedings in the Patent Office. Doug was recently in charge of planning the strategy for and overseeing the preparation for IPR responses to charges of infringement of several hundred patents. Doug has also been a speaker at programs involving the interplay of patent litigation in the courts and USPTO. Doug’s numerous client victories include a recent series of chemical patent cases in which he secured more than a dozen favorable judgments and permanent injunctions that protect a patented product with more than $1 billion in sales. Doug was invited to join the American College of Trial Lawyers as a Fellow in 2004, and is one of the few registered patent attorneys among his peers in that organization. 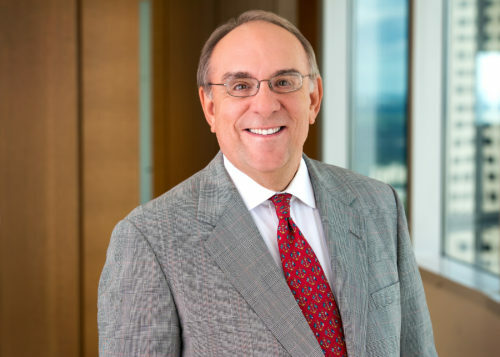 He has been listed in The Best Lawyers in America© since 1997, Minnesota Super Lawyers® since 2003, and was included in Best Lawyers in Minnesota and the “Top 40 Super Lawyers Minnesota” from 2008-2010. Doug is a member of the Intellectual Property Law Association, the Iowa, Minnesota and Texas state bar associations (where he is also licensed to practice), the American Bar Association, and the Federal Bar Association. While in law school, he was a member of the Drake Law Review and served as student bar association representative. As an undergraduate, he was a research assistant to Dr. James A. Van Allen, head of the Department of Physics.